One of South Africa’s leading DIY waterproofing brands, incorporating a range of over thirty purpose-specific waterproofing and damp proofing products. As part of the STT Sales Group, the brand has strong credentials in the waterproofing sector. Established in 1975, STT Sales is one of the country’s leading manufacturers of industrial waterproofing brands, including Darachem and Bond M. Its products have been put to the ultimate test on a wide variety of high-profile sites ranging from Soccer City, the new domestic terminal at OR Tambo and the Gautrain Sandton Station to the SA Mint (Pretoria), SA Receiver of Revenue head office (Pretoria), SA Police head office (Pretoria) and SA Breweries head office (Alrode). In 1985, the Group recognized the need for a reliable DIY waterproofing brand that could be sold through hardware stores to contractors and homeowners, and applied as simply by a professional builder as by an average mom or pop. The Flash Harry DIY acrylic waterproofing kit – the first of its kind in the country – was born out of the expertise and experience of the Group, and its quality and consistency resulted in the brand’s quick acceptance as a trusted name in the hardware sector. Today, Flash Harry incorporates a vast (and growing) range of products covering a broad scope of DIY waterproofing and damp proofing applications. 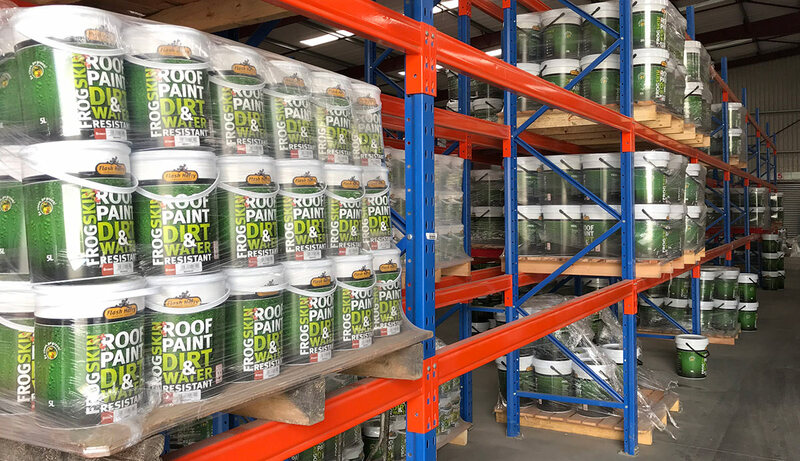 The brand is distributed nationwide, and sold through over one thousand hardware and retail stores around Southern Africa, including the Jack’s Paint Group, Mica, Iliad, Build It, FH Chamberlain and DIY Depot. In Gauteng alone, the brand enjoys over 60% market share and is listed with all the major local and national chains. The company understands the need for on-going brand development, to keep abreast of market changes and stay in touch with consumer needs. In the past five years, Flash Harry has introduced over ten brand new products, including most recently the ultra-high performing Liquid Plastic. Part of the brand’s success can be attributed to its successful marketing strategy. Over the years, Flash Harry has invested significantly in the brand’s image, beginning with a complete relaunch in 2001. The now-familiar ‘running man’, which appears on every piece of marketing collateral produced for the brand, has since become synonymous with DIY waterproofing in South Africa and dominates the waterproofing aisles on hardware shelves across the country.